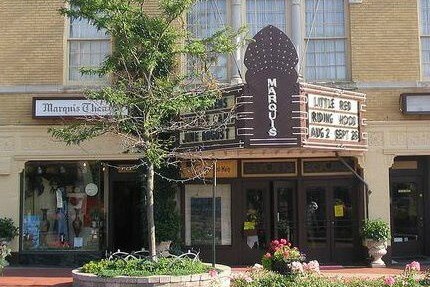 At the Northville’s Marquis Theatre, patrons may come enjoy LIVE CHILDREN’S PERFORMANCES, book a private BIRTHDAY PARTY (complete with cast meet & greet! ), participate in special SCOUT EVENTS, become part of the Marquis family during our AMAZING SUMMER CAMPS, or even RENT THE ENTIRE THEATRE for your special event! The Marquis Theatre, a historic Northville landmark, is a beautifully restored Victorian building with nearly eighty years of rich history and tradition.